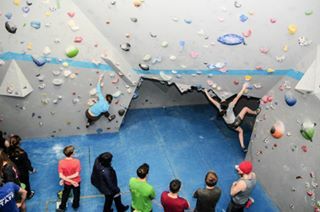 Round three of our Marmot Masters bouldering competition is now set and ready for your attention. Not tried one of the Marmot Masters rounds yet? All the information is here and even better the prizes are awarded via a raffle, so you don’t need to have cranked the hardest or sent the most problems, you just have to give it a go! Be sure to hand in your scorecard by Friday 1st March by 4pm, to be in the raffle!